What’s the Project? 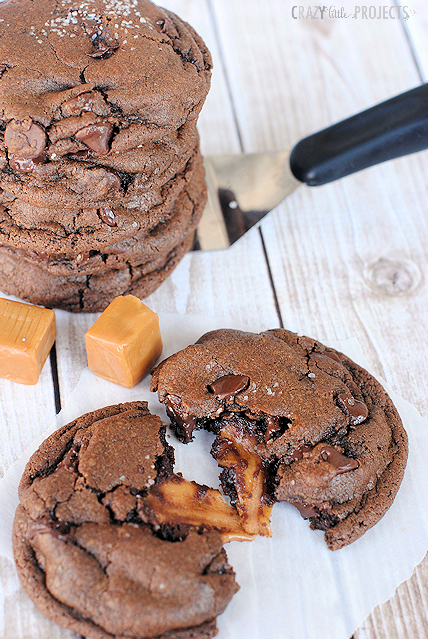 These chocolate Reese’s peanut butter cup cookies are soft, chewy, decadent, and AMAZING! Chocolate cookie base topped with peanut butter frosting, then crushed Reese’s Peanut Butter Cups-they are perfect cookies! We interrupt our regularly scheduled Christmas posts because I got too caught up in Thanksgiving and didn’t get today’s post done. But never fear, I have something up my sleeve that I have been saving for a special day. 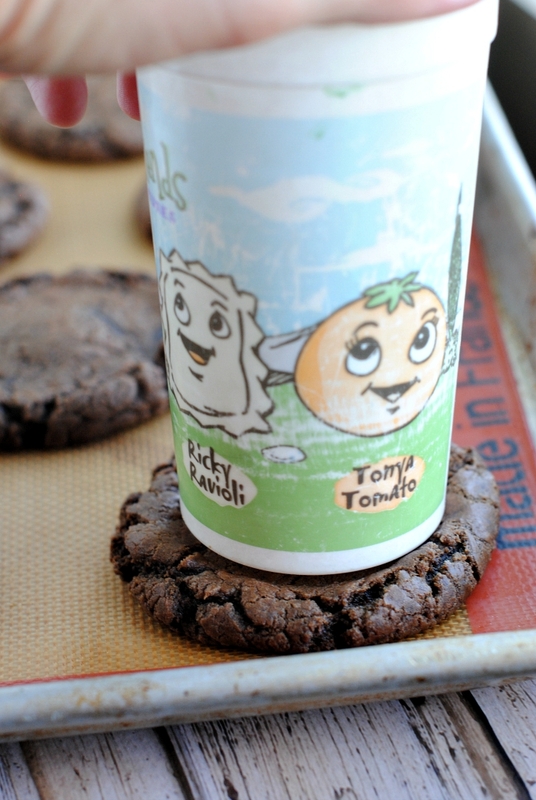 It’s a cookie that true treat lovers are going to LOVE! 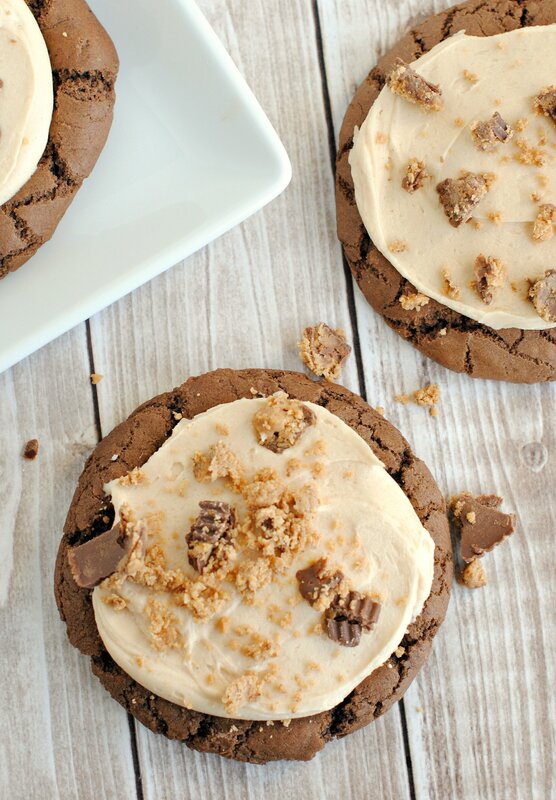 These chocolate Reese’s peanut butter cup cookies are amazing! It’s a soft chocolate cookie topped with peanut butter frosting and sprinkled with Reese’s. Pretty amazing! Really, this is a GOOD cookie! You’ll definitely want to try making this. Right? 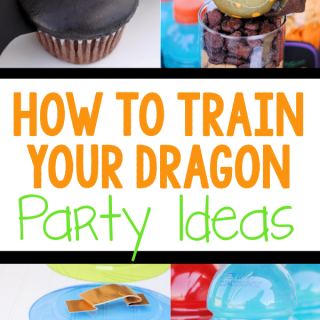 I know you want to make these! They are so good! Here’s the recipe. 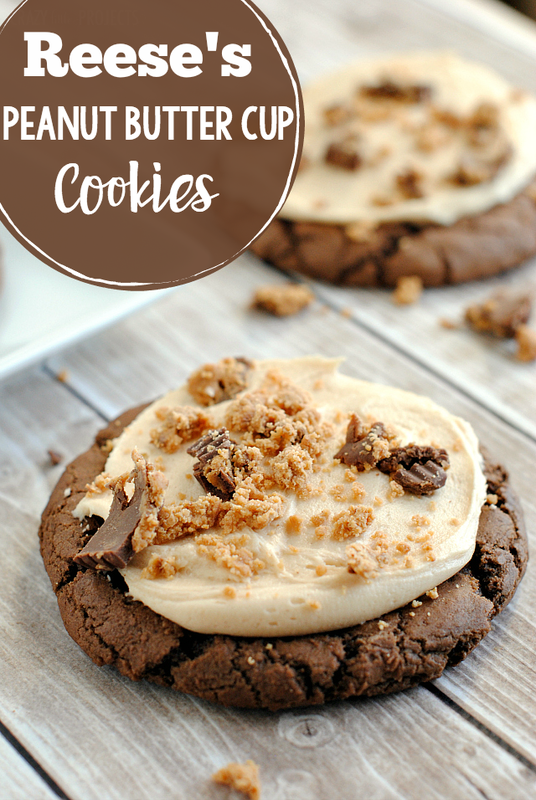 These chocolate Reese’s peanut butter cup cookies are soft, chewy, decadent, and AMAZING! 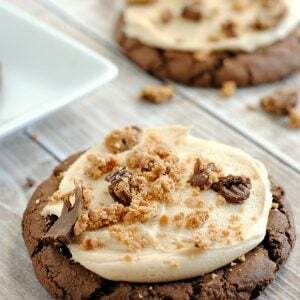 Chocolate cookie base topped with peanut butter frosting, then crushed Reese’s Peanut Butter Cups-they are perfect cookies! In a large pan on the stove over medium-high heat, melt your brown sugar, water and margarine together and stir and continue to heat until it boils. Remove from heat and immediately stir in your Nestle’s Semi Sweet Chocolate Chips. Mix until melted. Bake for about 10-11 minutes. While they bake you can make your frosting. Scroll down for that recipe. Now let’s make the frosting so that you can top them! Note-the above ingredients can be modified a little. If your frosting seems dry, add a little more milk. If it seems too wet, add a little powdered sugar. Mix ingredients together until smooth. Put in a ziplock bag and snip off the corner. Pipe frosting onto a cookie and then spread with a knife. Sprinkle with crushed Reese’s Peanut Butter Cups. 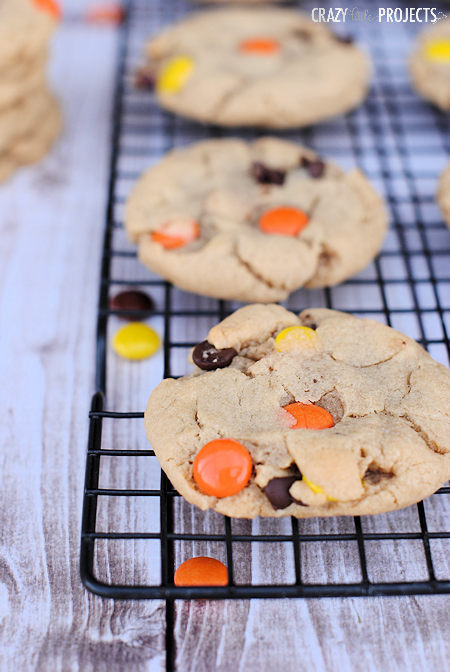 I hope you love these chocolate Reese’s peanut butter cup cookies as much as I do! So yummy! Hi, can I use butter instead of margarine in the chocolate Reese’s cookies? You can, they just spread a little differently than with margarine. 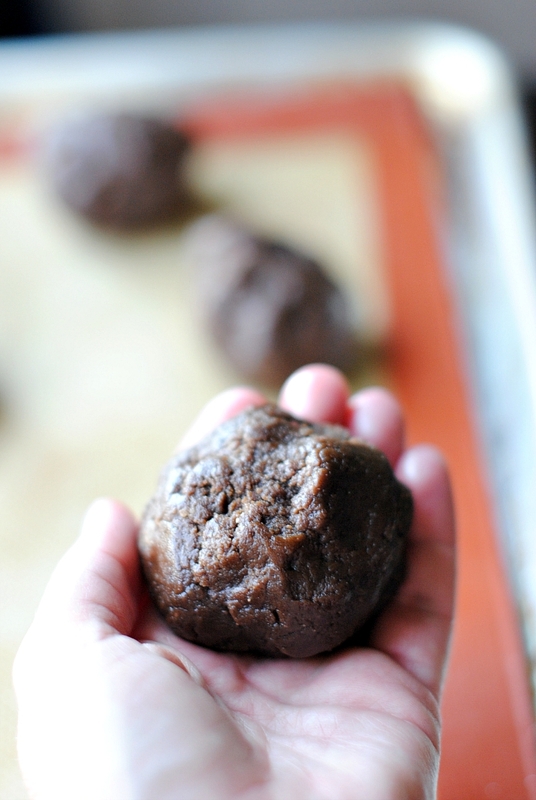 I cannot wait to make these for family. Thank you for the recipe! 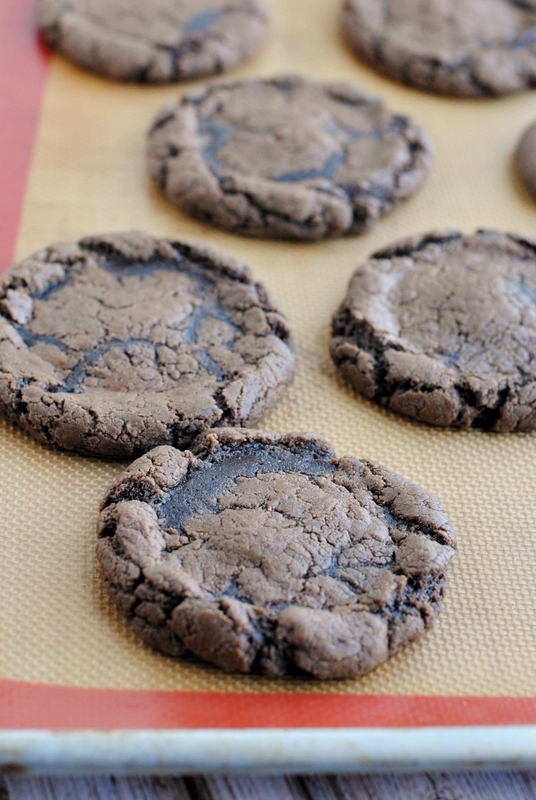 I live in Northern Ireland , would love to try these chocolate cookies , they look gorgeous , but I can’t try to bake them as I do not understand what a STICK of margarine, could you tell me how many ounces a stick is ? Rosemary. Actually, it is exactly 113g, but that might be hard to measure. A Stick of butter or margarine is 8 4 ounces or 1/4 pound. A stick of butter is 4 ounces. If you use butter, you may want to chill the dough slightly before baking. You can if you want, though I always use butter and never do. the recipe says to make the caramel sauce and frosting while the cookies bake but I don’t see anything else about the caramel sauce. Am I missing something? My husband wants to try these soon! I have the same question. Please clarify, I need! to make these. Made these last night and they turned out GREAT! Just like the picture and so delicious. Will be making these again. I want to try these also but like another commented you referred to making a Carmel sauce but don’t say anything else like how to make and what to do with it. Thank you so much for the great recipe for Reese’s cookies and that there is no caramel in them. The next time I make these cookies (and I will make then again) I will just do half of the frosting. Had enough left over to do a two layer cake! Also how many did this yield? I got about thirty. Really glad I found this post, I love Reeses! I made these today with my granddaughter. They are wonderful! I did cut the frosting recipe in half as was suggested in some of the comments. Thank you for this recipe, I’ll be making it a lot! It’s semi-sticky. Maybe refrigerate it first?